Queen Elizabeth almost placed Meghan Markle under probation last summer after breaking a major royal protocol. Back then, the Duchess of Sussex was new in the royal family and was in the Republic of Ireland for an official visit. Two months after tying the knot, the Duke and Duchess of Sussex flew to Ireland for their first official overseas visit. While it was an exciting time for Meghan to attend an overseas royal engagement for the first time with her new husband, things did not go smoothly as she had thought — even more so for Queen Elizabeth, who learned about Meghan’s first major slip as a royal while they were on tour. During the visit, Meghan discussed Ireland’s referendum on abortion with Fine Gael senator Catherine Noone and sparked a political storm without her knowing it. Things took a turn for the worse when Noone took to social media to share what had transpired during their political discussion. “The Duchess and I had a chat about the recent referendum result — she watched with interest and was pleased to see the result,” she wrote on Twitter. In a follow-up tweet, she also revealed that Meghan seemed pleased with their discussion and looked very interested and measured about the political issue. While Meghan was naturally politically active before she married into the royal family, Queen Elizabeth prohibits all members of her family from being politically involved in any way. Since she was new in the family that time, the duchess might have forgotten about this major royal rule. According to royal correspondent Daniel Devane, what Meghan did during their Ireland visit was a breach of protocol. “Of course that cannot happen in the royal family,” he said. “It shouldn’t be happening. Royal members should not be getting involved in politics,” he added. 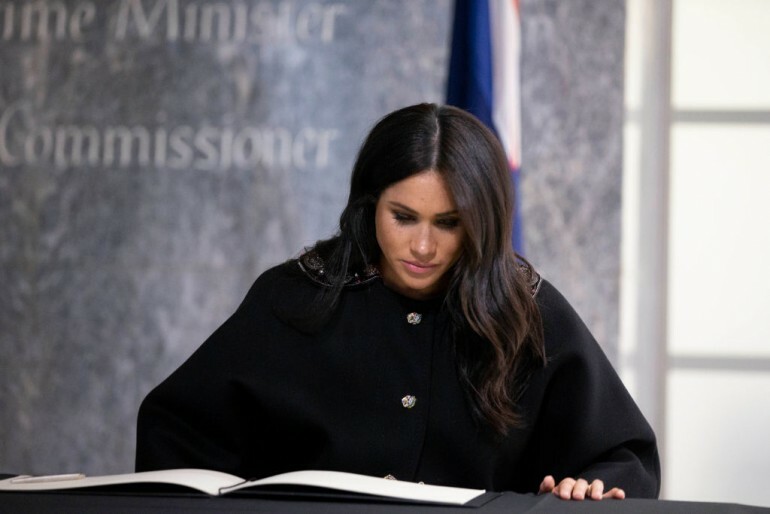 In the documentary “Meghan And Harry: The First 100 Days,” Devane revealed that Queen Elizabeth almost wanted to place Meghan under probation that time to teach her a lesson. However, she changed her mind after realizing that she had not been in the royal family for long. Having to keep mum about political issues must be tough for Meghan, especially since she has always been politically active. Before she even became Duchess Meghan, she was a stern critic of the U.S. administration and a champion of women’s rights.